Guitar Building: Acoustic Guitar Building, Electric Guitar Making, Archtop Guitar Building, Guitar Repair, Violin Making, Dulcimer Making, Mandolin Building, Banjo Building, Drum Making! Acoustic guitar building, electric guitar making, archtop guitar building, violin making, dulcimer making, mandolin building, banjo building, or any other type of lutherie; pickup winding and rewinding; drum making; flute and recorder making and repair; brass instrument building and repair; and more. We invite you to participate on the Musical Instrument Makers Forum, an interactive forum for the discussion of musical instrument construction, design and repair; welcoming builders of all instruments at any skill level from expert to wannabe. For fifteen years the web's premier site for instrument builders. 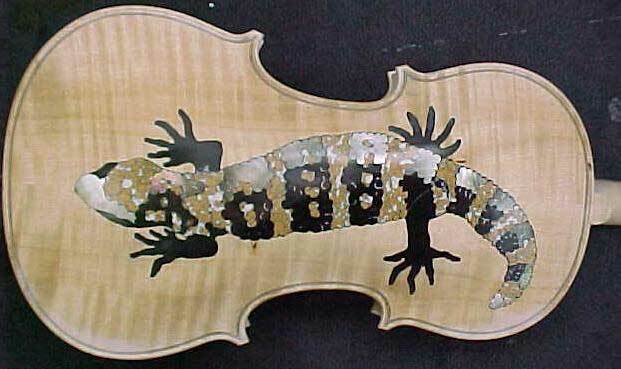 The Musical Instrument Makers Forum is an online community of people who build or who want to build musical instruments, and have questions to ask or information to share about construction, design or repair. Our ranks include those who have not yet built any instrument, those who are just starting out in instrument making, dedicated hobbyists, and part-time and full-time professionals. After eight years online we have a large Library of archived discussions containing over 10,000 files. You must register as a MIMForum member to gain access to our Library, but registration is free. If this is your first visit here and you are new to instrument building, we suggest you start by reading our New Builders' miniFAQ: answers to the questions most frequently asked by those who are new to the art and craft of building musical instruments. 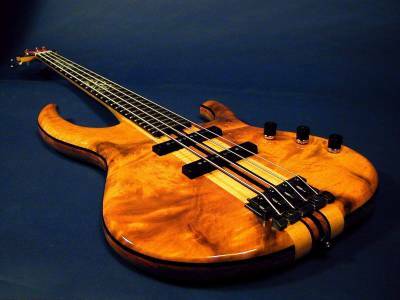 Whether your interest is electric guitar building, acoustic guitar making, building a mandolin or a mountain or hammered dulcimer, or turning a recorder, we hope you will find the answers you need on the Musical Instrument Makers Forum. The MIMForum Bass Project has come to a successful end! A number of MIMForum members jointly built a 4-string fretted electric bass, which we auctioned off to a very satisfied buyer on eBay to raise funds to support this website. See the story and pictures. Thanks go out to everyone who participated in the planning and construction process! And MIMForum sponsor Stewart-MacDonald's Guitar Shop Supply. We have many talented members. 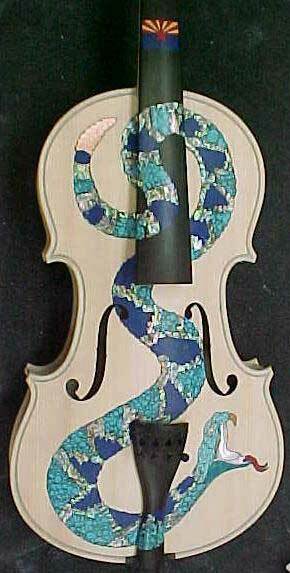 Here is an example of Amy Hopkin's original inlay work. The MIMForum New Builders' miniFAQ! Answers to the questions most frequently asked by those who are new to the art and craft of building musical instruments, written by the MIMForum membership. The MIMForum BuzzFAQ! We help you find and fix that pesky buzz! Help support the MIMForum! You can help support this worthy endeavor by making your online purchases from the MIMForum Bookstore and MIMForum Tool Store.